There are no dates set at present. Why not contact us to arrange one. The Indoor Climbing Assistant course is designed for people who want to support qualified instructors with climbing sessions on artificial structures. People interested in this scheme might be parents, youth workers, young leaders or teachers. The focus is on assisting with core tasks within a session. Indoor Climbing Assistants are not qualified to manage groups independently. Use of the phrase 'indoor climbing walls' in this context refers to all artificial structures, including outdoor artificial climbing towers and mobile walls. Have an interest in assisting qualified instructors on indoor climbing walls. If the above applies to you, when registrations open in January 2019 you will be able to register for the scheme. This will give you access to DLOG (our digital logbook) where you can record your experience and keep track of your progress. Experience in the basic skills (belaying, harness fitting, tying on). Belayed on a minimum of 5 indoor climbing sessions. After the course you will be given an assessment result of either Pass or Defer (not yet mastered basic skills). Detailed information on each of the above topics can be found in the Indoor Climbing Assistant handbook. You are asked to read the handbook and make yourself familiar with its contents in advance of the training course. The cost of both courses is £75 per person. You will be expected to pay your own climbing wall entries. There is a registration fee payable to Mountain Training of £20. This must be paid and registration completed before you can be booked onto a ICA course. You can borrow any of this equipment for the course if you let me know in advance of the training. For holders of the Climbing Wall or Rock Climbing Instructor award who wish to instruct lead climbing skills on indoor or outdoor climbing walls. For those who wish to supervise climbing activities on indoor or outdoor climbing walls. The Summer ML is a course for experienced hill walkers who wish to become leaders in the British mountains. 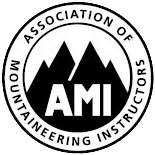 This two day course is intended for experienced climbers who wish to introduce individuals and groups to climbing on single pitch outdoor crags.